Encaustic painting is the process of using heated beeswax and resin mixed with pigment to create a layered, complex, work of art. 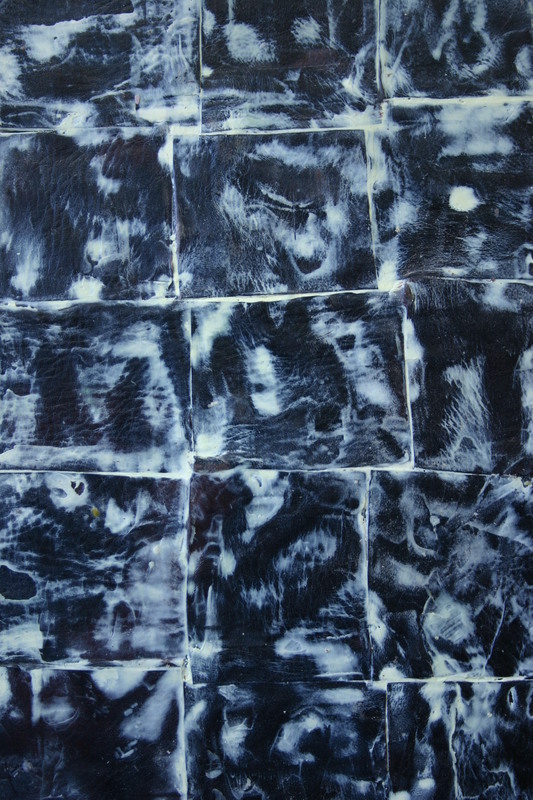 As you can see from these two photographs, Collette has taken encaustic to a new dimension, incorporating into the classic medium of beeswax the use of leather, wood and other materials, often eschewing pigment in favor of subtle shapes and patterns achieved trough negative and positive space and the natural color of the selected materials. After long being out of touch, Daniella Woolf, encaustic artist extraordinaire, caught up with Collette Collins via a mutual friend. Recalling their shared interests and history of friendship, Collette and Daniella decided to use Collette’s studio for encaustic classes. Now Collette hosts biannual encaustc workshops in her Georgetown studio, through R&F Paints. She has now added to her list of creations encaustic painting, door paneling and wall covering, to singular affect. 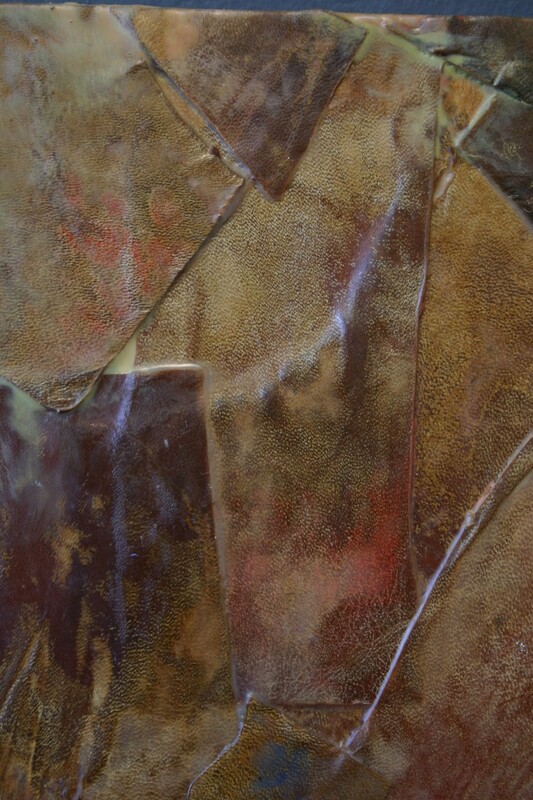 Contact CCD for more information and to customize an encaustic piece for your space. Visit CCD’s ENCAUSTIHYDE™ gallery.